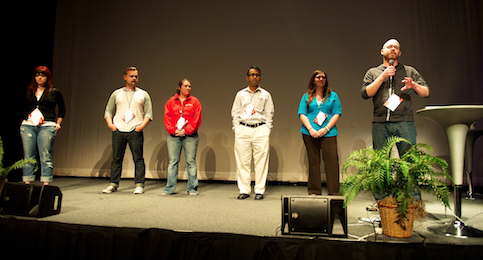 In 2010, Erik Dahl, Imran Riaz, Pam Haaser, Lindsay Ramhoff, Brandon Stephens and Denise Philipsen connected the IxDA Columbus with the local chapter of the Usability Professionals’ Association (UPA). Together they set the core values of what was envisioned for the conference and drew upon personal experiences with other local and national conferences (e.g., Code Mash, Stir Trek, IxDA international conferences, UPA international conferences, and others) for inspiration. They wanted to create something rich in community and creativity with an authentic, cross-discipline, and grassroots feel. Importantly, it must be affordable and approachable for other designers who many not have resources to make it to the pricier national and international conferences. 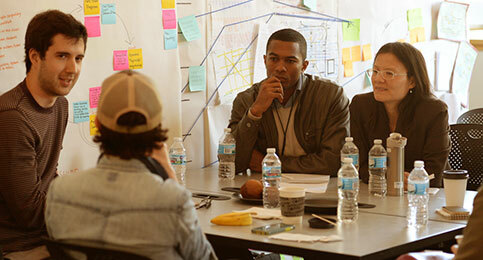 Since the inaugural event in 2011, Midwest UX has been a hit. Compelling talks, a casual environment, discussions of innovative ideas, and engaging conversations have attracted great attendees and sponsors. 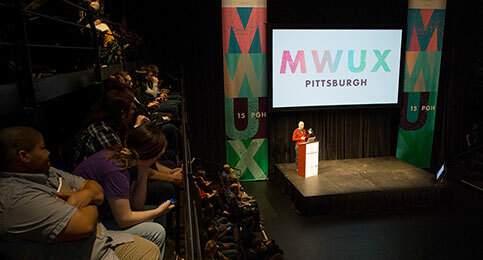 In its 5th year, MWUX moved to Pittsburgh, where attendees took workshops at Carnegie Mellon, experienced a variety of talks at the New Hazlett Theater, Children’s Museum, and The Priory, and and went on a variety of excursions throughout the city. Featured speakers included Dan Saffer, Karen Holtzblatt, Jesse Schell, and Jonathon Colman. 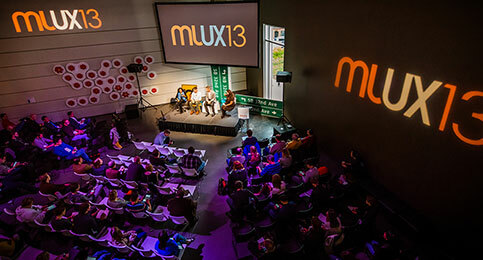 The next city to host MWUX was Indianapolis, where the event gave attendees an experience of the city, hosted at the Indiana History Center, Herron School of Art & Design, and Indiana State Museum. Featured speakers were Mark Rolston, Stephen Anderson, Peter Morville, Lorna Ross, Steve Smith, Jared Spool, and Lisa Welchman. 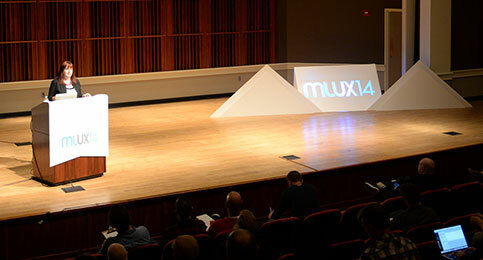 In its third year, MWUX began moving from city to city starting with Grand Rapids; home of the Art Prize. The conference found a strong theme focused on placemaking; elevating the UX discussion beyond the screen. Featured speakers included Abby Covert, Christina Wodtke and Karl Fast. The second year remained in Columbus, Ohio, at the Center of Science and Industry. Featured speakers included Richard Buchanan, Nathan Martin, and Peter Morville. The inaugural event took place in downtown Columbus, Ohio, in the American Electric Power building. Featured speakers included Jared Spool, Dan Willis, Jesse James Garrett, and Marc Rettig.